The Hungarian Parliament Building (Hungarian: Országház) is the seat of the National Assembly of Hungary, one of Europe's oldest legislative buildings, a notable landmark of Hungary and a popular tourist destination of Budapest. It lies in Kossuth Lajos Square, on the bank of the Danube, in Budapest. 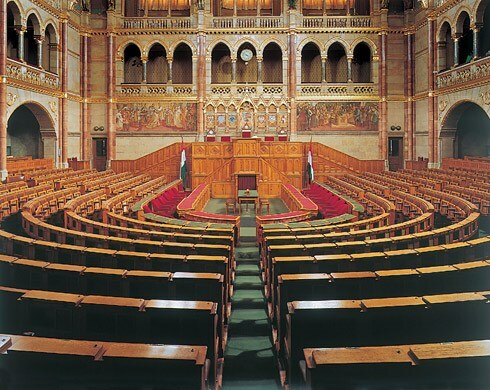 It is currently the largest building in Hungary, and the second largest Parliament in Europe. 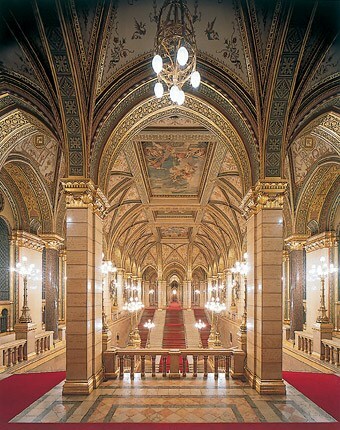 The Hungarian House of Parliament was designed by Imre Steindl who unfortunately died before the building was finished. 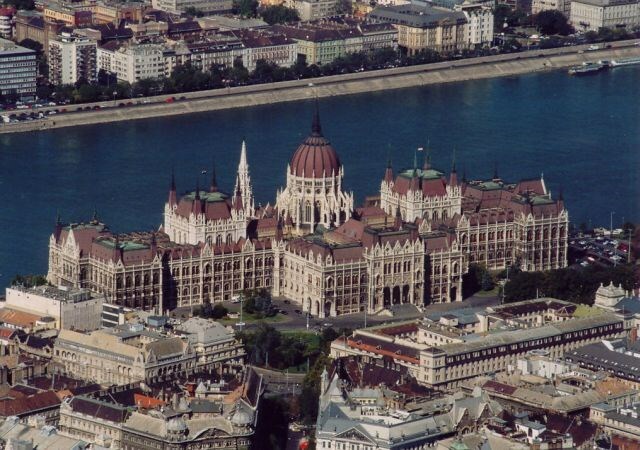 Aesthetically the main facade faces the Danube, but the official main entrances open to Kossuth square. 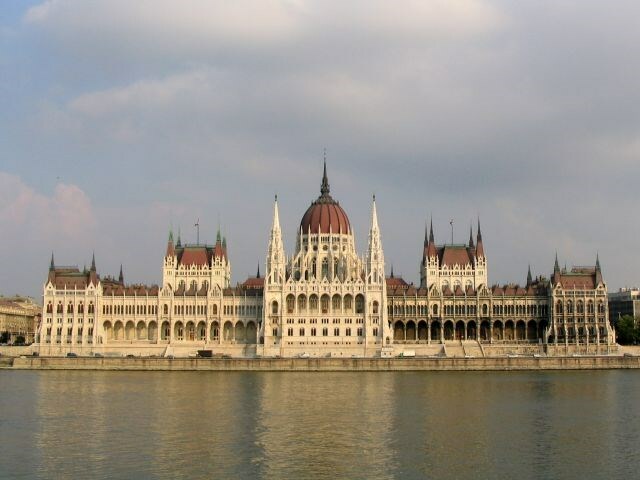 The building with its symmetrical structure conforms to the functions of a bicameral parliament. Since the end of World War II the building has also been the host of the executive branch. The northern wing houses the offices of the Prime Minister, while the southern wing contains those of the President of the Republic. 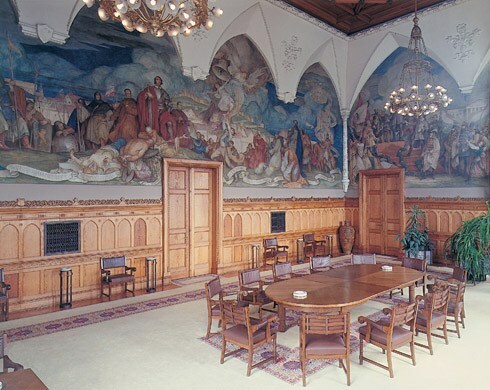 And in the corner rooms of the northern wing the Speaker of parliament has his offices. Ticket prices are 2000 HUF (~7 EUR) for adults, 1000 HUF for students. You can find up-to-date information here. Here are some photos about the plans of the Parliament in the XIX. Century. You can go there by Underground 2 (Red line), and by tram Nr.2. Both of them has a station named Kossuth Lajos Ter.